This story on STEM education was produced by The Hechinger Report, a nonprofit, independent news organization focused on inequality and innovation in education. Read more about higher education. SAN JOSE, Calif. — It was not an ordinary lunch period at Downtown College Prep Alum Rock High. Berenice Espino and her Quest for Space teammates had gathered in the engineering classroom to watch as a SpaceX rocket was launched into the atmosphere heading for the International Space Station, carrying onboard a science experiment they’d designed. NASA astronauts would test the device, which analyzes the effects of weightlessness on cooling and heating systems, and send data back to the students. The launch marked the latest effort by the 5-year-old charter school, to expose students to the skills they’ll need to access high-tech jobs. The day after the launch, for example, Espino and classmate Jaime Sanchez were learning Python programming through Udacity, an online education platform that offers “nanodegrees.” Other students in their engineering class were constructing a robot for the Dell-sponsored Silicon Valley Tech Challenge and designing a “tiny house” to shelter a homeless person. Most students at the high school, on San Jose’s East Side in the southern end of Silicon Valley, are from Mexican immigrant families. Nearly all will be the first in their families to go to college; some will be the first to complete high school. Espino’s mother works as a cook. Sanchez’s father is a landscaper; his stepfather, a construction worker. The kids who grow up in Silicon Valley’s Latino neighborhoods, the children of groundskeepers, janitors, cooks and construction workers, rarely get a shot at high-paying, high-tech jobs. Just 4.7 percent of the Valley’s tech professionals are Latino and 2.2 percent are African-American, according to 2015 data from the American Community Survey. By contrast, 57 percent are foreign born, with many coming from India and China, a local industry group estimates. Across California, Latino and black students, many from low-income families, earn lower scores on state exams than white or Asian students and are far less likely to take the advanced math and science classes that prepare students for high-tech majors and careers. Bay Area nonprofits are working with schools to improve math proficiency. For example, the Silicon Valley Education Foundation’s summer program, Elevate Math, is raising algebra readiness, a critical first step on the STEM success track. However, educators realize that getting students on track academically isn’t enough. They’re also trying to make working-class students aware of the high-tech career opportunities just a few miles up the road. Fifteen miles north of Funk’s office is Google’s headquarters, known as the Googleplex, in Mountain View, once a blue-collar town. The children of immigrant laborers attend high schools alongside the children of “tech titans” in the Mountain View-Los Altos district, says Darya Larizadeh. She leads a two-year-old district program designed to expose lower-income students to professional careers. Pathways, Exposure, Academic Connection, Knowledge (PEAK) takes students to local companies such as Google and Facebook, as well as to hospitals, law firms and other businesses. It also organizes weeklong internships and job shadowing during school breaks. “Our goal is for them to see tech as something they could choose,” says Larizadeh. Other Bay Area districts also see the need to connect first-generation, college-bound students to careers. In the last five years, San Francisco Unified, Oakland Unified, East Side, San Jose Unified, plus smaller districts and charters, have partnered with the nonprofit Genesys Works to place 12th-graders in nine-month internships at high-tech and other companies. During the summer before the students’ senior year, Genesys Works trains them in technical skills, such as information technology, as well as soft skills, like writing professional e-mails, handling feedback and networking. Once school starts, students spend their mornings in class and their afternoons at work, averaging 20 hours a week at $13 to $15 an hour*. Nearly all enroll in college, says Peter Katz, executive director of Genesys Works - Bay Area. The program, founded in Houston in 2002, plans to train and place 150 interns in the Bay Area this fall. Most come from non-white, lower-income families and will be first-generation college students, says Katz. Kateryn Raymundo, who emigrated with her family from Guatemala when she was eight, was in the first group of interns five years ago. A student at George Washington High, a large public school in San Francisco, she wanted to go to college but had little sense of what her career options might be. “I didn’t know what was out there,” she recalls. Her father, a welder, and her mother, a hotel housekeeper, didn’t finish middle school. Genesys Works found Raymundo an internship in customer support at SalesForce, a cloud computing company, then helped her apply to college. Four years later, she’s completing a marketing degree at San Francisco State while working full-time at SalesForce as a data analyst. She’s built “an awesome network,” she says, which she hopes will help her land a marketing job when she graduates this December. While DCP Alum Rock’s first graduating class is finishing their first year of college, graduates of its sister school near downtown San Jose, DCP El Primero High, have been moving on to higher education for over a decade: The first class graduated in 2004. Those who earn in-demand tech degrees tend to do well, said Edgar Chavez, college success director for the Downtown College Prep charter network, which also includes two middle schools. However, many students major in the social sciences in college, then struggle to find professional jobs. To help college graduates launch careers, DCP now provides career counseling — and sometimes internships. Chavez is pushing every student to complete a summer internship in college — or earlier. At DCP Alum Rock, students get plenty of hands-on experience. 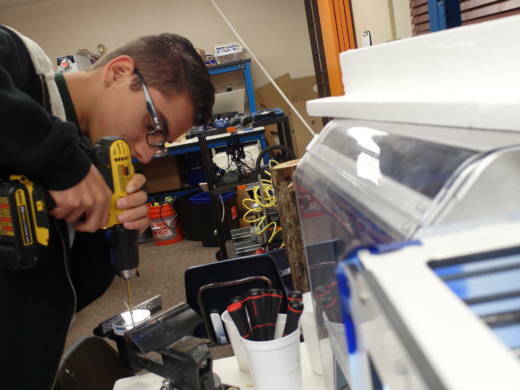 The school’s engineering program started in 2014, when Principal Terri Furton realized math teacher Luis Ruelas had, in her words, a love for “what you can do with math.” Together they adopted the Project Lead the Way curriculum, an instructional approach that encourages students to identify community problems and design solutions. More recently, when the city of San Jose announced a design contest for “tiny houses” for the homeless, Ruelas’ students went to work on a plan, crowd-funding money to pay for materials. Faced with neighborhood resistance, the city downscaled the project and canceled the contest. Undaunted, the students plan to build the house in the fall and find a place for it, perhaps at a church. “Even achievers don’t see engineering as an option,” says Ruelas, a Mexican immigrant who struggled to learn English so he could earn a materials science degree at San Jose State. When students try it, they’re hooked, he says. 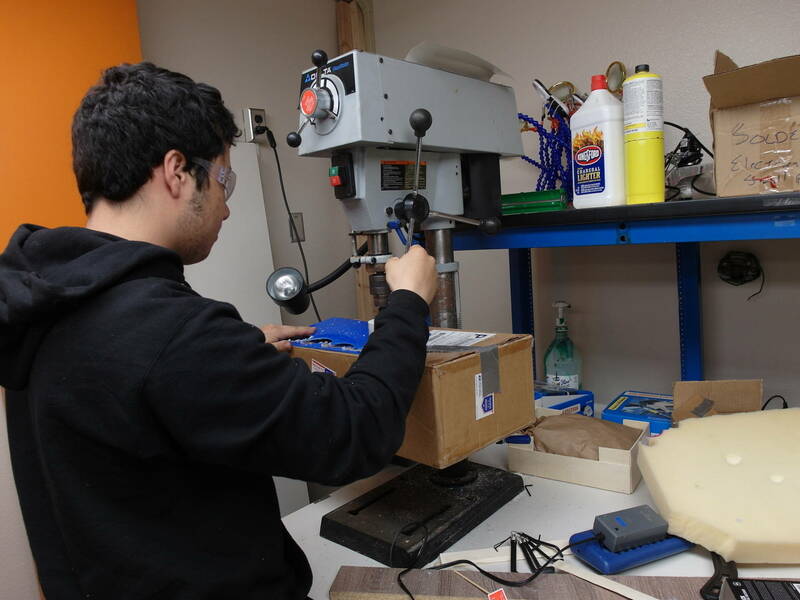 Today, 55 percent of DCP Alum Rock students take engineering or computer science, including a lab where they work on projects for competitions in robotics, rocketry and engineering. The school also offers a BUILD entrepreneurship class where students develop product ideas and pitch them to Silicon Valley professionals. For a U.N.-sponsored conference for high schoolers in New York City, DCP Alum Rock pupils collaborated with students in Jiangsu, China, via video chat, to design a way to cool homes and filter air without electricity. Like other Bay Area schools, DCP is also emphasizing internships and similar experiences that expose students to professional careers, says Kelly Neal, who manages partnerships for DCP. This year, four DCP students are interning through Genesys Works, at Service Now, a cloud computing company, and at Silicon Valley Bank. Others have worked with researchers at Stanford, Berkeley and other university labs. This summer, for the first time, nine students will study abroad. “It’s beneficial to realize that not everybody looks like them and to have that experience before they go to college,” says Neal. Espino, who watched her science project launch into space, will study software engineering at the University of California at Merced starting this fall. 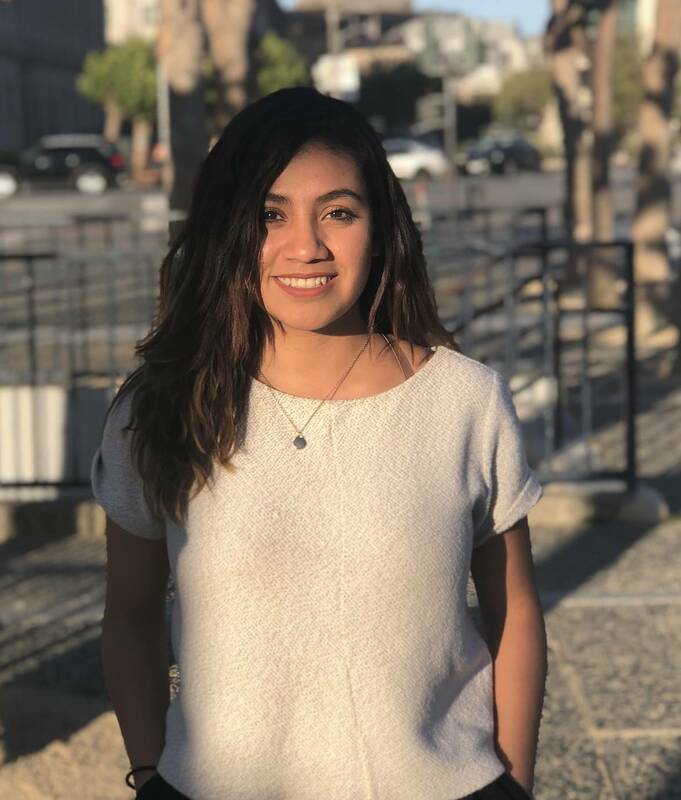 While nearly half of the university’s student body is Latino, she doesn’t expect to see many first-generation Latinas in her engineering and computer science classes. That doesn’t faze her. On launch day, her computer-science teacher, John Benoit, a former Intel engineer, gave the rocketry team patches commemorating the flight. He told the students, “That’s how rocket scientists brag.” As “lead scientist” with her school team, Espino had earned her flight patch. *Correction: This version of the story updates the hourly wage of interns who participate in Genesys Works programs.